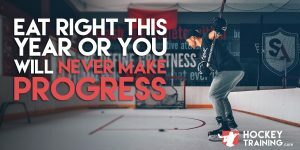 In the game of hockey where an extra ounce of strength could knock you off the puck, or an extra half-second of time is the difference between you getting a clean shot off or not — it is my job to ensure your training is preparing you in every way possible to create an optimal result. Every little detail matters if you want to be your best. For decades now we have heard from coaches and gym teachers that we should incorporate some light aerobic work prior to training and games in combination with some static stretching. Although in recent times (as far as S&C research goes), these strategies are beginning to be questioned by more informed authorities. Which is why the confusion is beginning to settle in for the average gym goer and/or athlete. Well, let’s examine the applicable research in this area thoroughly so you can make the best decision for YOU. It was originally suggested that static stretching improves range of motion, increase your rate of recovery from exercise (decrease DOMS), enhances performance, and decreases your risk of injury. This original hypothesis sounds great, doesn’t it? Unfortunately, not everything worked out this way. As it stands today, the scientific research reviews on injury prevention are very much hit and miss. Additionally, I don’t know about you, but if I squat 10 sets of 10 today and then do some static stretching after… it isn’t going to do a damn thing for my soreness. But, probably the biggest factor in this mix is the fact that as of now we have hundreds of studies that have been conducted on measuring performance in 1 rep max, running speed, reaction time, isometric torque production, jumping, and throwing — the results have been that most, but not all of them, report that pre-exercise static stretching decreases human performance from a combination of both neurological and muscular factors inhibition factors. It is also important to note that this performance decrease seems to have a linear relationship with how long you hold the stretch. Meaning, the longer you hold it, the greater negative effect it can potentially have on your performance within that particular muscle group. In addition to the above, many of the studies deemed inconclusive have completely neutral performance effects, meaning, no better or no worse. Even with stretching, you’re still the same athlete. 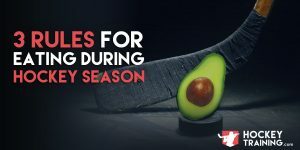 Hockey requires you to be both strong and explosive, and the research suggests that static stretching will reduce both of these, which will create a net-decrease in hockey performance. Or, if you’re lucky, have a neutral effect — which is a complete waste of time. Static stretching must be kept in the post-workout or post-game window. Static stretching is not all bad, that’s not what I am saying at all. Static stretching has been shown to effectively improve range of motion, and not to mention it is very easy to learn for anybody at any level. So as a coach, I have to take in all the current research and anecdotal evidence I can and weigh the benefit-risk analysis. The positive benefits are there for static stretching when done properly and at the right time, although they are small. And from a negative standpoint it also more than likely to compromise performance if done prior to a workout or game, which is what most people do. Use the static stretches on the areas of the body where hockey players so often create the same tightness’s (see my mobility article for more information on this). • Best performed post-workout, or sometime in the evening hours after your workout. • In addition to counting 15-30secs, focus on taking deep diaphragmatic breaths. • Do not overdo it, there is no trophy for who can do the most. • When trying to improve ROM, perform this ideally 3-4x per week. Dynamic stretching is a type of functionally based stretching exercise that incorporates more sport-specific movements to prepare the body for activity. Dynamic stretching, AKA mobility drills, places an emphasis on the movement requirements of the sport or activity rather than on individual muscles. Dynamic and ballistic stretching may appear similar on paper although a number of factors separate the two from each other, most notably the fact that dynamic stretching avoids the potential negative effect associated with ballistic stretching such as bouncing in the stretched position. Dynamic work is performed in a more controlled manner than ballistic stretching which results in a slightly shorter range of motion, but a safer movement overall. The big bonus you get with dynamic flexibility is it improves range of motion in a joint more effectively than does static stretching alone while also being far more sport specific than a static hold. Additionally, dynamic stretching has not been shown in the research to have any negative effects on performance while also actually being shown to have a positive effect on running performance. The combination of sport-specific movement, improved range of motion, improved performance, and no drawbacks make dynamic stretching a no-brainer for a solid option in the pre-game and pre-workout windows for hockey players. The degree to which an athlete needs to stretch prior to game time is dependent on the sport. Sports in which flexibility is a make or break, such as gymnastics or diving, demand the best possible range of motion the athlete can deliver and thus require a thorough stretching routine. Although other sports with high demands for the stretch/shortening cycle of the musculature during high-intensity movements such as hockey, football, rugby and sprinting are likely to require more stretching than those at low intensities such as jogging and cycling. In addition to the aforementioned benefits to dynamic stretching; the sport specific movement and range of motion you go through will also help increase the core temperature benefits of a warm-up (something static stretching does not, and can actually lead to a reduction in temperature) and activate the central nervous system for proper recruitment of muscle fibers. I also recommend athletes use this time in the dynamic stretching window to not only focus on technique but focus on getting in the zone. 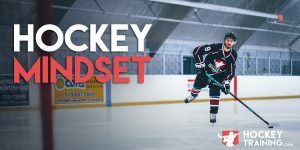 The warm-up is the time and the place to get your game face on and bring that killer, competitive attitude to the ice or into the gym. Once the warm-up begins, it’s time to go — mentally and physically. • Perform everything through a full range of motion. • There is no trophy for who gets done first. Perform with good technique. As far as bang for the buck goes, the definite winner is dynamic stretching. Although you can’t always say that, especially given that they bring their own specific elements to the table. But if you only had the time or the effort to only perform one, I would say go on ahead with dynamic flexibility for sure. Dynamic differs from static due to the fact that a number of joints can be integrated into a single stretch which opens the doors to multi-planar movements similar to those that occur in sport. Making dynamic stretching much more time efficient which can be very important when training time is limited (I.e. during a busy schedule or during the in-season). The muscles are constantly activated during the game of hockey, which is why it is much better replicated through dynamic movements during the warm up as opposed to static holds. • You need to have an exercise selection that best replicates these on-ice movements, not just from a purely “what it looks like” standpoint, but from a joint and range of motion perspective. • You can perform the warm-up in repetitions (example jumping jacks x 10) or in distance covered (A-skips for 10yds). Repetitions are usually easiest when performing by yourself, distance covered is usually best if working with the whole team. • Each drill should start slow, and gradually increase the range of motion, speed, or repetitions as your body gets warmer.